Yesterday my nail broke and I was very sad… So I was trying to make up my mood by listening to the old songs and one of the songs inspired me to do today’s nail art. You too enjoy the song and nail art. haai haai haai jhoomka gira re…. ← Periwinkle Inspired Nail Design! Well done dimple.. 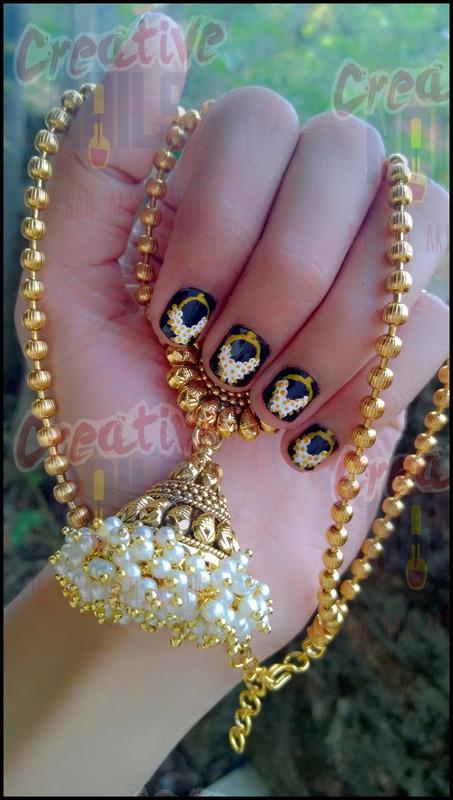 Very pretty jhumkas, on ur nails as well as the ones on your hand.. I was singing along as I was reading 😀 very cool design! 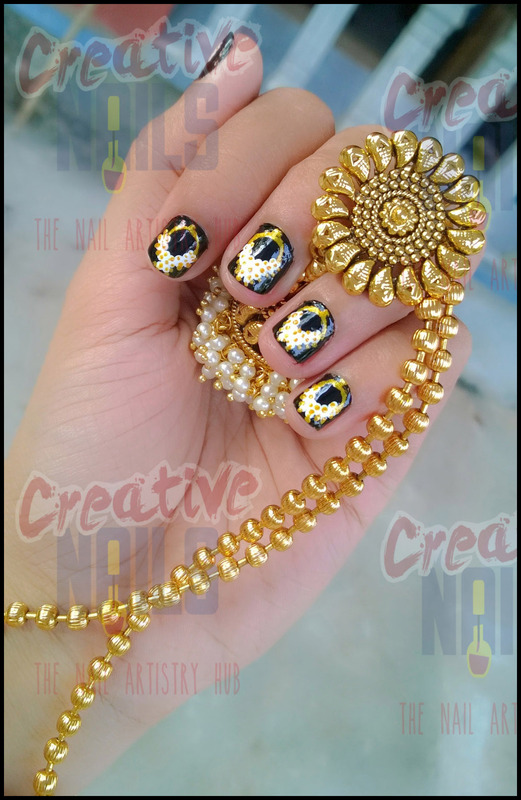 Such a cool idea for nail art.. love the mani!